2018 GaLaBau Fair: Gardening. Landscaping. Green Design. And all in one place. We will also be there, together with a co-exhibitor BERA BV, presenting our Green Roof & Landscaping System solutions. You can find us in Hall 4 / booth 407. 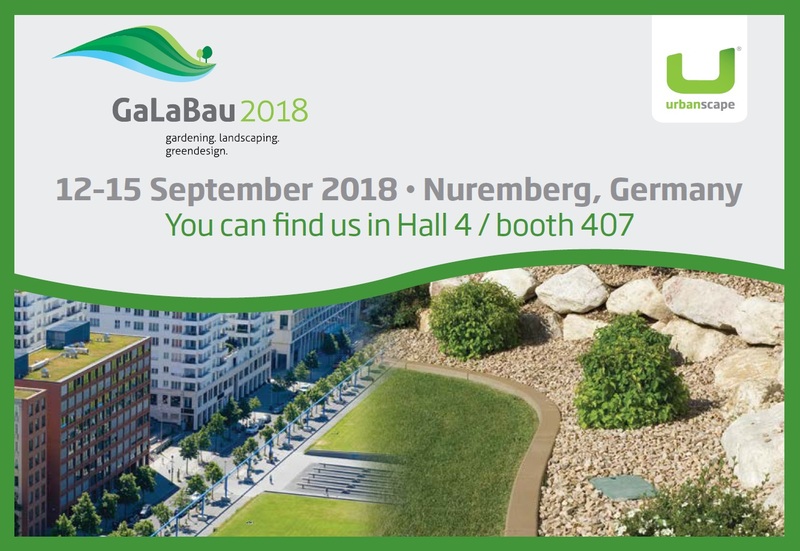 Don’t miss the opportunity to join this exciting leading international fair for urban greenery and open spaces (12–15.9.2018, in Nürnberg, Germany) and be sure to visit our daily live demonstrations of green roof installations. Live demos on Urbanscape® Green Roof System installation, every day at 10.30 & 14.30!